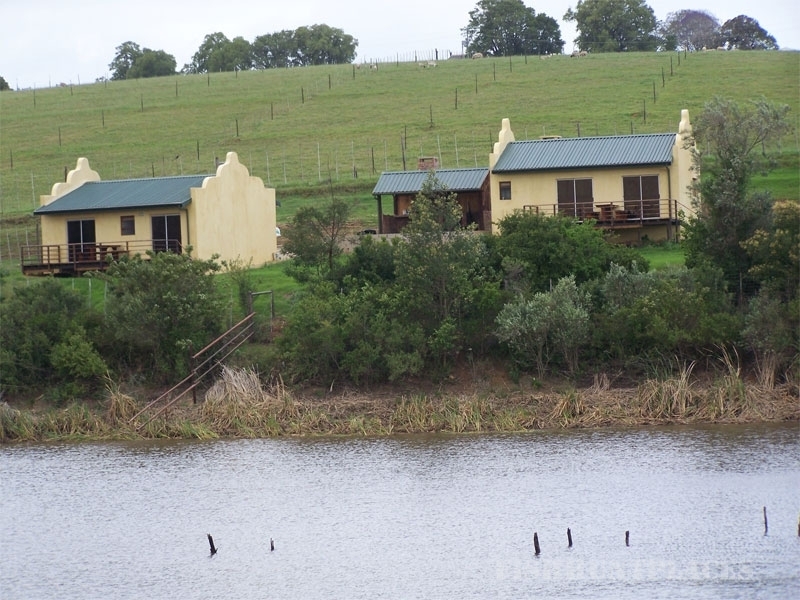 Hakuna Matata Game Farm is situated about 10km north – west from Great Brakriver in on the Fragrance Route in the Western Cape. This town is halfway between George and Mossel Bay on the N2. From Great Brakriver take the road that leads to Friemersheime, of which 2km is a gravel road, and experience the beautiful scenery that consists of dairy farms and views of the Outeniqua Mountains. Stripped of any extravagance, Hakuna Matata is in the heart of the rural area, nestled between green fields and hills. Exclusive, private beween cattle, buffalo and a lion’s roar. 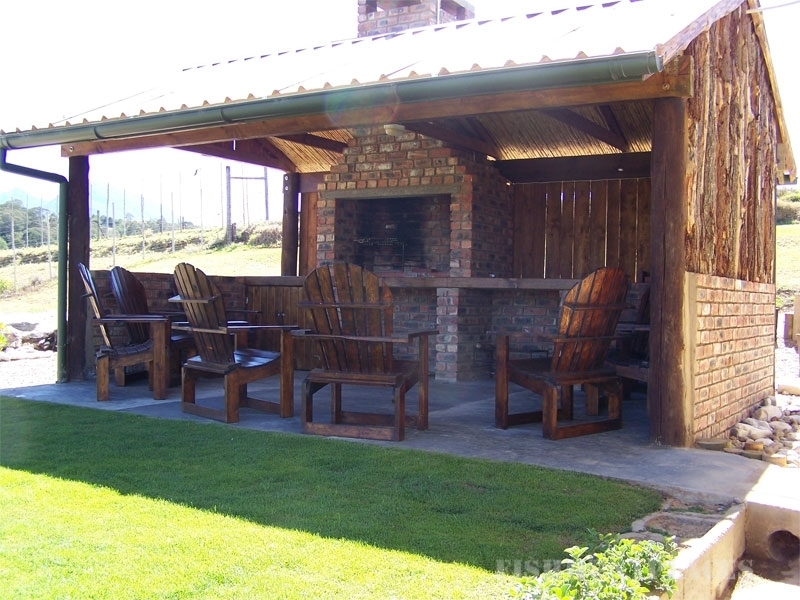 Enjoy a sundowner, overlooking the dam in front of the chalets. There are Bass in the dam for the fly-fisherman. For the birdwatcher there is a variety of birds like the Knysna and Bush Loerie and Fish Eagle. 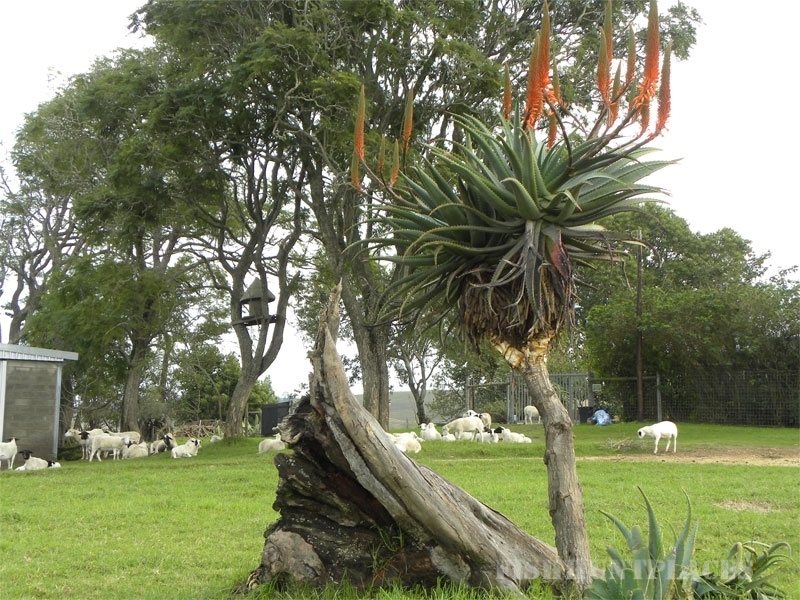 The farm is home to disease free buffalo, pure Bontebok herd and a variety of buck. You can meet Jabo, Kolletjies and Timone – the three hand raised lions. 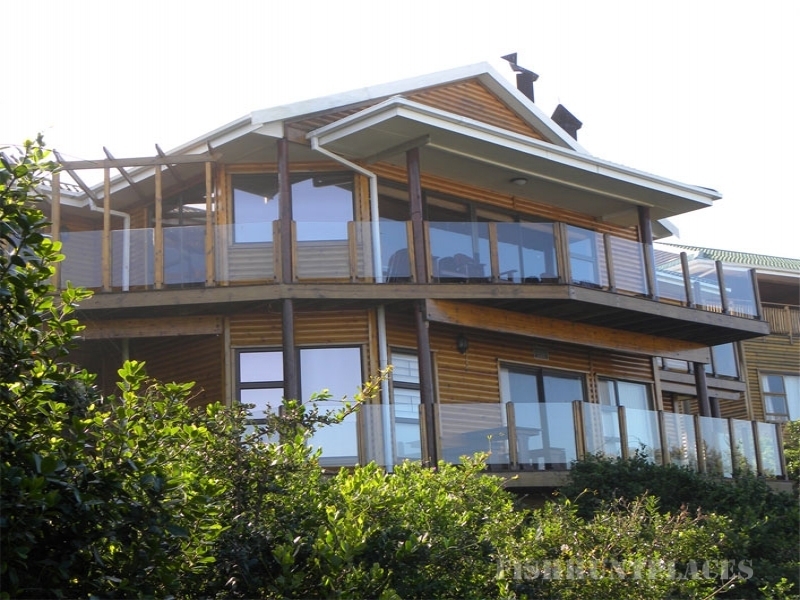 They are in captivity and have a beautiful view of the farm and chalets. In summer time, one of the hosts can walk you to them with a flask of coffee and rusks to watch the sunrise from their camp. Their roar is a delight for the entire neighbourhood. Guests are encouraged to recycle. There are bins provided and at the farmhouse is a compost heap for the degradable waste.